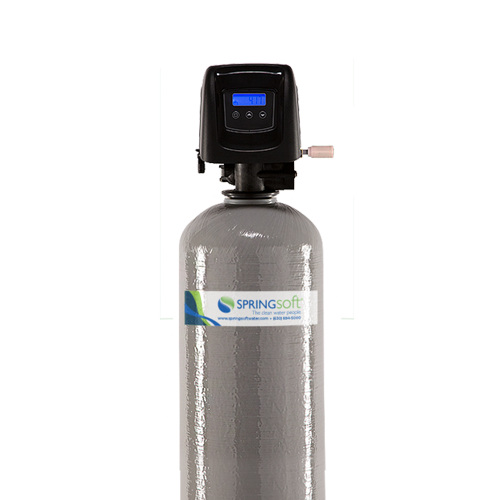 The Springsoft AIO system is an air oxidizing and filtration system designed to filter iron and sulfur without the use of chemicals. The Springsoft AIO system is designed for years of superior performance and trouble-free service. A Springsoft AIO filtration system consists of an automatically backwashing media tank with an air intake assembly. The air intake assembly draws in ambient air that is compressed in the mineral tank. As you use water, the air slowly depletes while the dissolved iron and/or sulfur (Hydrogen Sulfide) is oxidized and transformed to particulate. Periodic regeneration is required to backwash the collected oxidized particulate to drain. This automatically occurring process also replenishes the air supply and recharges the filter media. The procedure may be customized to the needs of each application with the easy to program electronic control. Iron (yellow staining, metallic odor) and sulfur (rotten egg odor, black particulate) are filtered with this simple, easy to operate and budget friendly single tank system. Restrictive micronizers and venturis are unnecessary as are hazardous chemicals. Prefiltering iron and sulfur prior to the water conditioner will allow it to last longer by preventing these isues from contaminating the system. The water conditioner will also operate more efficiently by using less regenerant. A back-up keeps time during power outages. Specific medias for iron and sulfur are utilized. Combination of medias are used for custom applications. 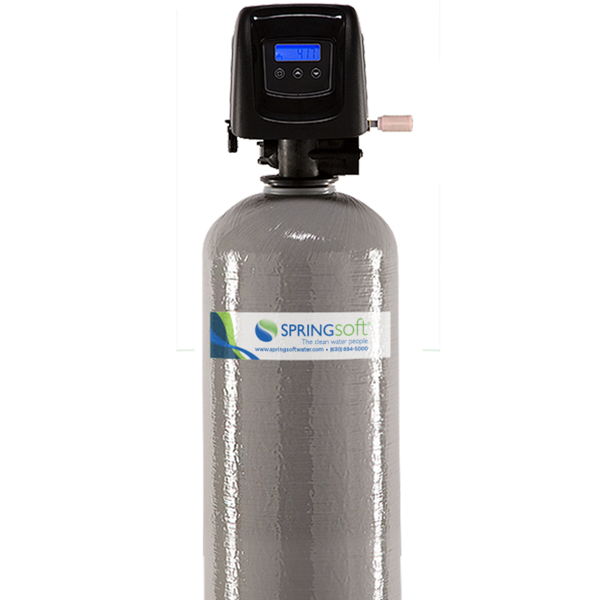 The Springsoft Water Specialist will assist in determining the appropriate system for your water conditions.